I realized in the years I've been working on this tea party of a blog, I have yet to explain how I make a cup of Indian style chai. It's unfussy and will totally transport you to a roadside chai walla (vendor) scene, complete with a tarp roof, roaring gas tank-fueled fire, giant steel pots, plenty of fresh milk and an elaborate pouring technique. 5 Rupees to bliss. "Chai" just means tea in India - it's the ubiquitous, catch all term for any combination of black tea, milk and spices. Every granny and walla has a slightly different ratio of the above items, so don't take my "recipe" too literally. Chai is the ultimate riff -- it's infinitely flexible and leaves room for what you have in your pantry and what your preferences are. 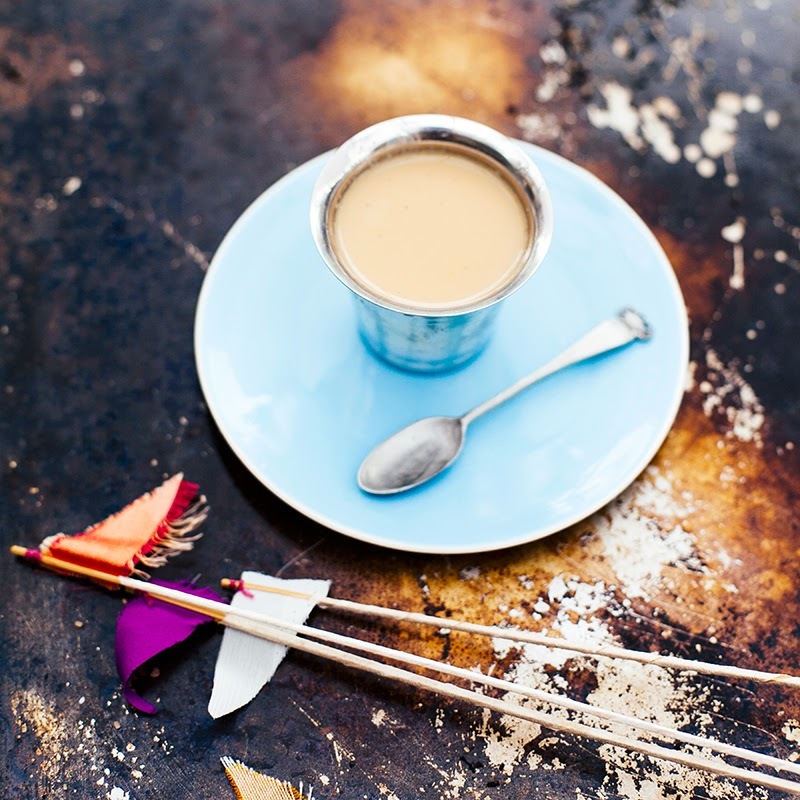 Any way you slice it, once you've mastered a steaming cuppa chai, it can be hard to go back to a simple cup of tea. 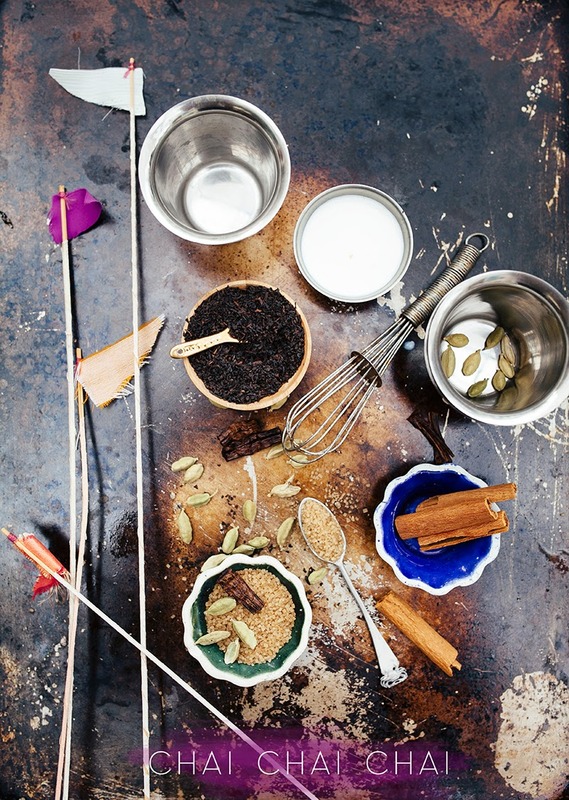 Adding fresh warming spices to a milky brew adds another layer of flavor you cannot get in a "chai mix" or a blend of teas. 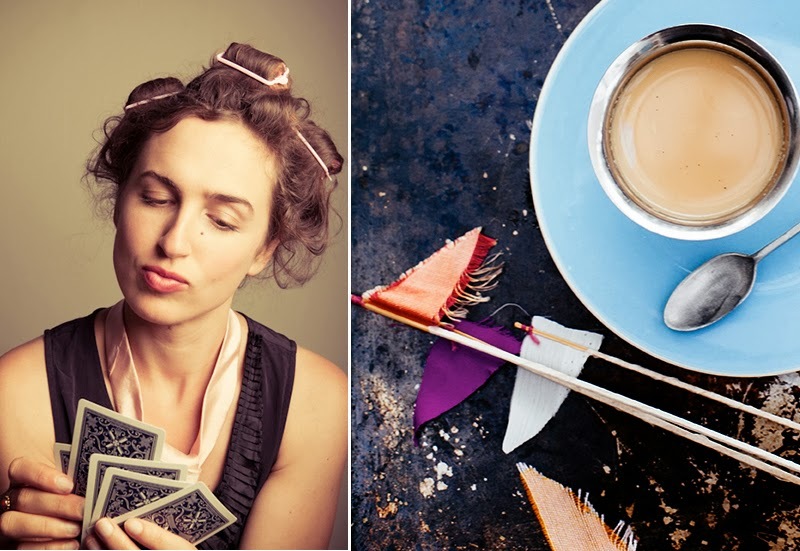 A strong tiny cup of chai is just the thing for a chilly winter's day or a game of cards while wearing your curlers, as you do. In a small sauce pot, heat the milk and water to a boil. Add all other ingredients, decrease heat to simmer, put a lid on the pot and let steep for 4 minutes. Make sure you've warmed some cups (I love traditional tiffin tea cups for this) with boiling water. 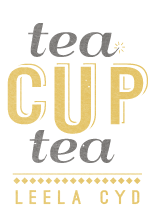 Once the timer dings, strain the tea mixture immediately into the warmed cups. Enjoy with a small cookie or little sweety. Karista is right--you make curlers look good! I'm a big chai fan as well (the blend from Imperial Tea Court in SF is my favorite in the US, though perhaps I should try making my own). My friend who married into an Indian family sometimes adds a leaf or two of crumpled fresh mint to the finished cup, which is a nice touch. That photo is the best! And this recipe looks awesome too. God, I love Chai tea. Oh yum! Now I don't have to count on my neighbour to make me some! Tried this recipe with almond milk and it was delicious! Definitely a keeper. gorgeous photos and recipe, I would love to reblog it!